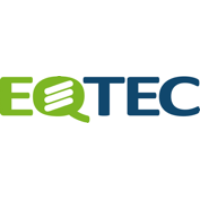 EQTEC plc (LON: EQT), the technology solution company for waste gasification to energy projects, today provided an update on recent operational and project developments. · Significant increase in the level of international interest in the Company’s proprietary EQTEC Gasifier Technology (“EGT”) from both existing and potential new customers, developers and engineering, procurement and construction (“EPC”) contractors. · Advanced talks with a major business group in Spain to develop projects in the industrial and agricultural waste sector in Spain. · Advanced stage proposals for two refuse derived fuel (“RDF”) projects in the UK, where EQTEC would provide EGT and could act as lead developer. · Engineering design work for Phoenix Energy’s first power plant delivered and invoiced. Commencement of construction expected to begin later this year upon final granting of permits to Phoenix Energy, which have been delayed largely as a result of forest fires experienced in California in the autumn of 2018. · Together with Phoenix Energy, EQTEC is exploring further project opportunities in the US biomass market and a commercial proposal for a third project has been presented to Phoenix Energy. · Commercial proposal submitted to the owners of the Usk project to replace Brooke Energy as the developer of the project and for EQTEC to provide the technology and EPC services. Q1 2019 has seen a significant increase in the level of international interest, including in the UK, the U.S. and Emerging Markets, in the Company’s proprietary EGT from EPC contractors, existing and potential customers and development partners. Accordingly, the Company is progressing a number of potential deals. The Company is in advanced talks with an existing client, a major business group in Spain, to enter into a collaboration agreement to promote and develop a number of projects including a second plant at one of its locations. EQTEC’s focus has been to target projects tailored to the industrial and agricultural waste sectors, where EGT can be employed. The Company is at an advanced stage of negotiations with regard to a significant RDF project in the UK, where it is proposed that EQTEC will provide EGT and could act as lead developer. This is in line with the Company’s stated strategy of supplying technology to large RDF plants in the UK. In addition, the Company has signed a letter of intent with a developer of renewable projects in the UK to identify new project opportunities. Also, as announced on 20 March 2019, the Company was pleased to note the exclusive collaboration agreement between Urbaser S.A.U. (“Urbaser”) and EBIOSS Energy SE, the Company’s largest shareholder, and their intention, subject to Urbaser technical due diligence, to use EQTEC’s gasification technology for waste to energy gasification projects in Bulgaria, Greece, Macedonia and potentially Romania. Further to the announcement of 15 January 2019, the engineering design work for the first of Phoenix Energy’s two planned power plants, utilising the Company’s EGT technology, has been successfully delivered and invoiced. Phoenix Energy is awaiting the final granting of permits for the project, which have been delayed largely as a result of forest fires experienced in California in the Autumn of 2018. Construction, commissioning and installation at the project is expected to begin immediately once the permit process has been completed. The Usk Project (previously known as the Zebec Energy project) located in the municipality of Usk, Wales, is for a proposed facility with the capacity to process c.42,000 tonnes of wood waste per year and a power output of 6.4 MWe. Brooke Energy is no longer involved in the Usk project and EQTEC has been working with the site and project owner and has made a commercial proposal to the project owners to become the developer of the project and provide the technology and EPC services. As previously announced, the Company has a Memorandum of Understanding (“MOU”) with PT. Citra Metro Jaya Energi, which is part of the Energy division of the Citra Metro Group, a leading group of companies headquartered in Indonesia involved in energy, technology and telecommunications, to supply its EGT technology for a 12 MWe power plant in Hanoi, Vietnam. EQTEC has been informed that the client has changed the RDF production technology needed to prepare the fuel for EQTEC’s gasifier technology and the Company is awaiting further information on how the EGT could be implemented with this modification.